IBM, GE, & others, use human-centered experience design to increase revenue and reduce the risk of investing in unwanted products & services. Diana’s structured approach to UX defined Waypoint. 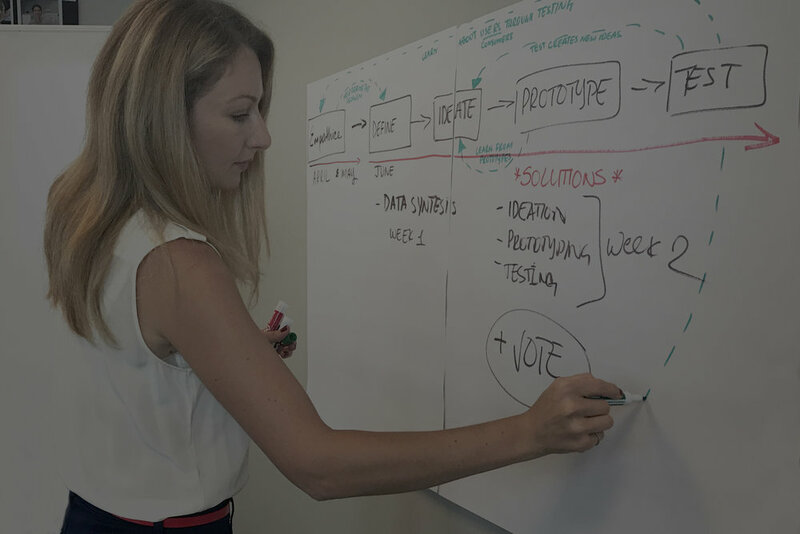 She steered product design & development by elegantly aligning business strategy with user needs. Diana was a user champion from idea to launch. I recommend her to any business that values the customer voice. Solutions for the long haul. Diana is above and beyond your typical UX/IA person. She is the strategic and holistic thinker that you want to have in your team if you are working on anything that is to be ground-breaking and non-average. ...It’s all about “what truly makes sense” - not only for you, but your customer and their customers. Solutions for the long haul. From enterprise to start-up, we solve existing product or service experience challenges, or design an optimal experience from the ground up. Thank you! If you don’t hear from us in 24-48 hours, please check your spam.